Hey BBB Beauties! I think that you all will really enjoy this tip…it is one of my favorites! Now that you have all of your items let’s get started! 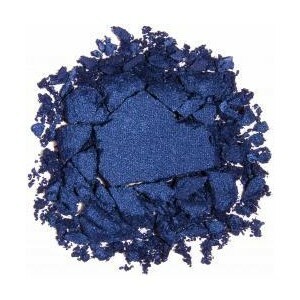 Place the shattered makeup carefully into the plastic bag holding the plastic carefully over the top. Create a tight seal around the shadow with the bag (if that makes any sense)! Hold the plastic tightly across the top of the eyeshadow and with the back of the butter knife smash all the remaining bits of eyeshadow into a fine powder. Using the medicine squirter put a couple squirts of rubbing alcohol into the broken eyeshadow. Make sure the eyeshadow is completely saturated with the rubbing alcohol. Now put the tissue on top of the eyeshadow and put the coin on top of the tissue and PRESS PRESS PRESS! Use alot of force when pressing…you are compacting the eyeshadow back together! Your shadow is now back in once piece!